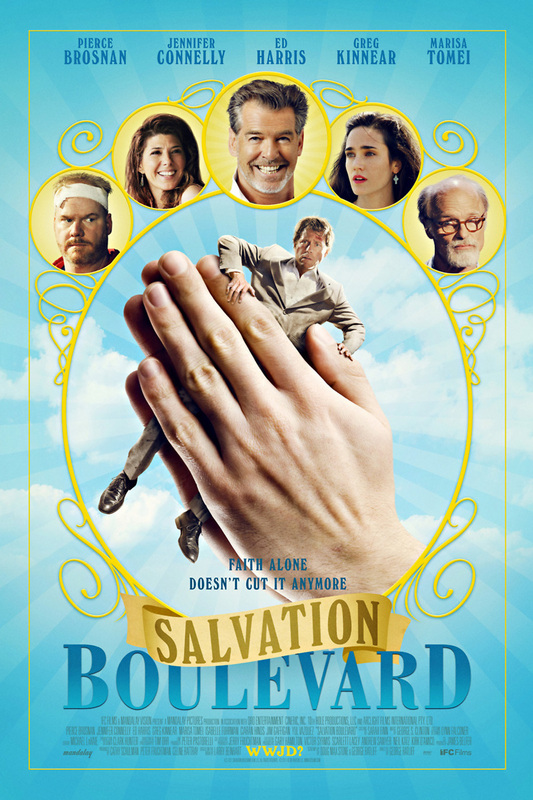 Salvation Boulevard DVD release date was set for September 18, 2012. This comedy based on Larry Beinhart's book of the same name, focuses on a charismatic preacher named Dan Day who manipulates the residents of a small town in the West into investing in a questionable real estate development. Carl is a Reverend Day follower and extreme fan of the Grateful Dead whom Day uses as an example of how his evangelical power can transform people's lives. But Carl is soon questioning Reverend Day's ethnics when he witnesses one of Day's associates doing something illegal that Day is all too happy to cover up. Carl tries to escape Day's henchman himself but is torn between remaining faithful to his wife or running away with a fellow Grateful Dead groupie named Honey.